Rather than focus on a certain kind of animal, sometimes children want to investigate the groups of living organisms found in a particular habitat. For this post, we are going to focus on animals found around the North and South Poles. National Geographic Children’s books pair top quality photographs with clear, age -appropriate informational text. Polar bears are in the news today, and this book is a great introduction for the youngest reader. Grouped by whether they occur on the land, in the sea, or in the air, this book features many of the key animals found in the Arctic. The Sills are a talented couple who have been collaborating on books in the About Habitats series. If you have seen their work before, you know what to expect. John Sill’s gorgeous watercolor illustrations catch the readers’ eyes. Then they turn to Cathryn Sill’s clear, uncomplicated language. In remarkably few words she explains the scene and draws readers into it. The photographs in the book are the author, Mark Newman, who is a famous wildlife photographer. Need I say more? The Let’s-Read-and-Find-Out Science series books are always well-researched and informative. Add illustrations by award-winning author-illustrator Jason Chin and you have a treat. Gail Gibbons is the queen of children’s nonfiction. 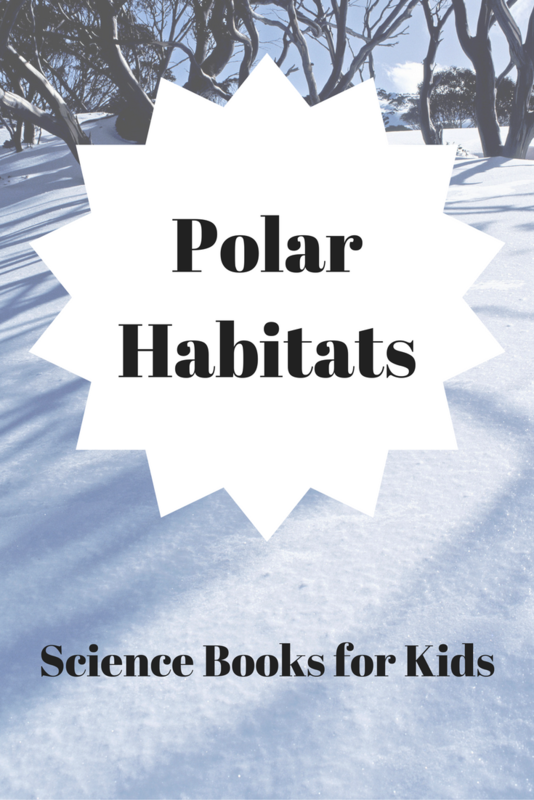 She always seems to know what questions children ask.This book covers the life of polar bears in detail. Ever see a picture or cartoon with penguins and polar bears in the same scene? This book carefully explains why that is incorrect and covers the life of each animal. The books in the Cat in the Hat’s Learning Library series use familiar characters and rhyming text to bring nonfiction to a wider audience. Excellent series! Young children will relate to this story about the first few months in a young penguin’s life. Many people have heard about the plight of polar bears, having to swim farther and farther to find food because of the melting sea ice in the Arctic. This book discusses Professor Scott Mills’s research on the effects of climate change on a smaller, cuter animal: the snowshoe hare. Nocturnal animals are active at night. Many of them we never see during the day. Discover them by reading a great book. An introduction to animals that are active a night. 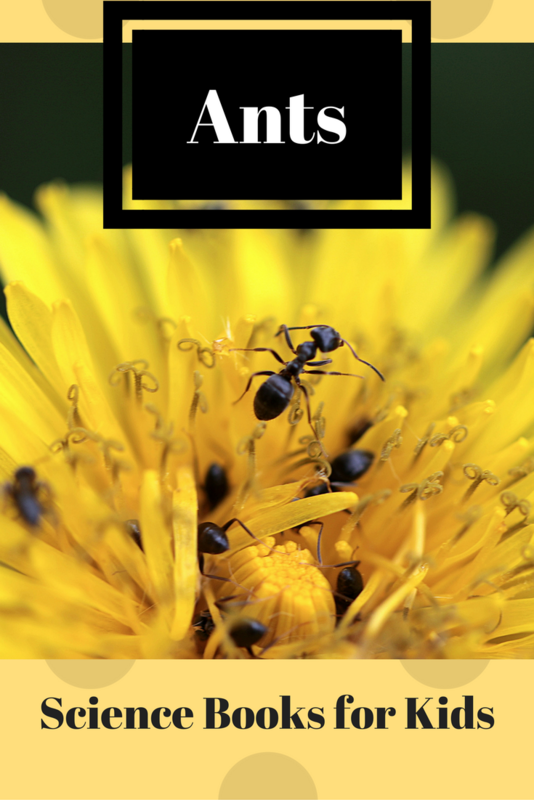 Features short sentences, controlled vocabulary, and big, enticing photographs. The back matter includes an activity suggestion. Did you know that one reason we rarely see porcupines is because they are nocturnal? Fireflies are beetles that light up the night with their ability to glow. The simple, lovely text makes it shine. The detailed sidebars and extensive back matter sends it to another level of usefulness for educators. 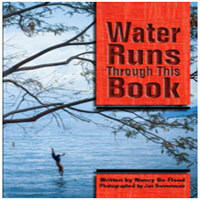 This title is an informational book for children in first and second grade. Although older, the books in this series are uniformly excellent. What could be more fun than a pop-up book that also makes the sounds of nocturnal animals around the world? Nightime emphasizes how many animals that are active at night communicate via sound. Told in romping rhyme, the books in the Cat in the Hat’s Learning Library series reveal serious, well-researched facts. Another interactive picture book, Moonlight Animals allows children to “light up” nighttime animals, no battery required. (No “magic” required either). 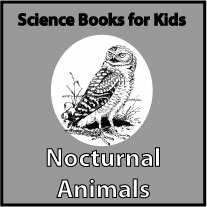 Preschoolers will enjoy this book that is likely to soothe those anxious about the dark and at the same time teach about nocturnal animals. Do you have any suggestions for our list of children’s books about nocturnal animals? We’d love to hear them. Summer is a great time to go to the beach. While you are there, learn some science by exploring the creatures that live on the beach and in tide pools. Simple, straightforward informational nonfiction that covers the tide pool habitat. This title really stands out because it does so much more than describe or identify shells a child might find on the beach. Instead, it breathes life into the creatures that inhabit different seashells by showing how all the various sizes, shapes, and colors help the members of the Phylum Mollusca — or mollusks — survive. Jerry Pallotta’s books combine humor with amazingly detailed information. Although organized alphabetically, these texts are way beyond simple ABC concept books. Always be prepared for surprises, too. Ruth Heller’s books about camouflage are delightful, with rhyming text and colorful illustration. Highly recommended! Introduces children to common tide pool animals, with tips for identifying 15 different kinds of seashells, 5 kinds of crabs and 7 kinds of sea stars. Suggestions for activities included. Learn about how snails, turtles, crabs, and clams have shells that act as their homes and protect them from harm. An older title, but the books in the Let’s-Read-and-Find-Out Science series are always high quality. The books in this series are small (approximately 5 inches x 5 inches). Each describe a few common animals in a given habitat. This book includes rhyming text of the “house-that-Jack-built” format. Growing and having to move are themes in this classic book about a hermit crab looking for a new shell to live in. 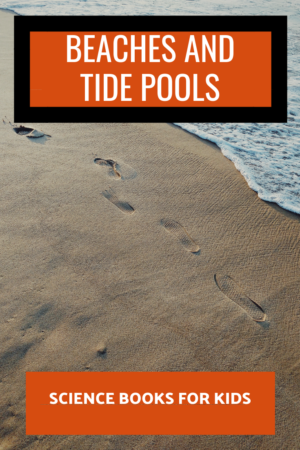 Do you have any suggestions for our list of children’s books about beaches and tide pools? We’d love to hear them. Summer means trips to the beach and time near the water. What better time to study fish? Learning body parts is important for identification and for understanding function. This series emphasizes what different parts look like and what they are for. Straightforward sentences help readers learn about ocean creatures, not just fish. 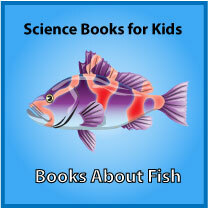 Award-winning book discusses the life of fish, including how they eat and breathe underwater. Learn all about the life cycle of seahorses. Wandering Whale Sharks written and illustrated by Susumu Shingu is a gentle book for younger children that follows the largest fish in the world, the whale shark. It was originally published in Japan in 1991, and has recently be translated and republished by Owlkids Books Inc. Although written at the middle grade level, the brightly-colored photographs can hold the attention of readers of a range of ages. Great white sharks are fierce predators and this book reflects reality. Right up front, the cover sets the tone for this book, showing a shark with something in its mouth and a suggestion of red blood in the water. Some of the illustrations within the book show the sharks grabbing and eating seals. Certain children are going to find this thrilling and others are probably not. As with any book with potentially disturbing images, it is a good idea to prepare young readers in advance and let them choose whether they want to continue. Written in rhyme, this is a wildly-popular book for preschoolers. Look for others in the series, too. 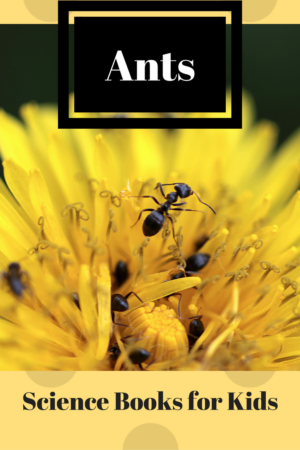 A classic book about facing fears and overcoming danger by working together. Follow Rainbow Fish as he learns about making friends. Try any of the Rainbow Fish books. Do you have any suggestions for this list? Please let us know. 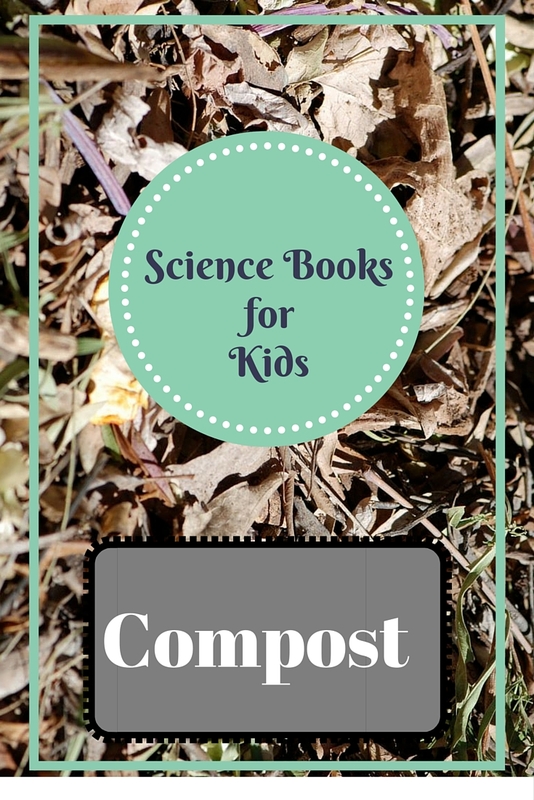 Help your children understand the process of decomposition and the nutrient cycle by starting with a good book. A lift-the-flap book that teaches preschoolers about composting with age-appropriate rhyming text. Would be appropriate for young beginning readers, as well. This unique alphabet book is actually a rousing call to compost written in rhyming text. The collage illustrations are also made from recycled materials. Table scraps that normally go into the garbage can be used to make compost for the garden. Linda Glaser describes how and Shelley Rotner inspires us to go out and compost. This picture book introduces children to the bacteria, fungi and critters that help turn plant materials into compost. Each two-page spread contains information about a different group of animals that live in the soil and potentially compost, such as earthworms and cicada grubs. A “Dig-in” sidebar gives a memorial fact or two. A glossary is also included in each spread. The text is clear and succinct. Once again, John Himmelman’s watercolor illustrations make this book about earthworms special. You can’t go wrong with any of the Let’s-Read-and-Find-Out Science books. The collage illustrations are Steve Jenkins’s trademark. They may or may not work for a science book. I’ll let you know right up front that this book is not for the highly squeamish. If the thought of fly vomit makes you quiver, then you might not find the book as delightful as I did. Photographer Kuhn spares nothing as he follows the decomposition meltdown of a carved Halloween pumpkin. takes you down and dirty with close-ups of molds, slime molds and yeasts, as well as other organisms, to show how nutrients get recycled and organic matter added to the soil. Remember that kids, however, might enjoy all that goo and ooze. Plus, the team of David M. Schwartz and Dwight Kuhn have worked on a number of projects together and their expertise shows. A classic, this older book has stood the test of time. The illustrations are lovely. The back matter is a two-page spread with facts about earthworms in a question-and-answer format. Truly unique, it is also worth picking up this older book. It delves into decomposition like no other children’s book. Written as a series of poems and with cartoon-like illustrations, this serious text might just entice some readers who prefer fiction to explore a less-than-glamorous ecosystem. Although this book is older, it is really worth trying to get your hands on it. The photographs lead the reader into the miniature life of the compost heap. 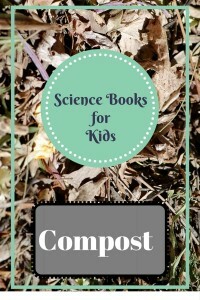 The author also shows her passion for compost in the detailed text. Michael Elsohn Ross has a wonderful “-ology” series of science books for middle grade children that cover critters found in compost heaps. 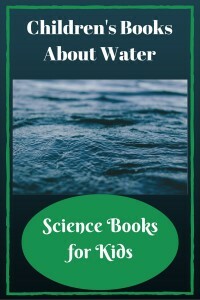 Gives life cycles and simple kid-friendly experiments to do. 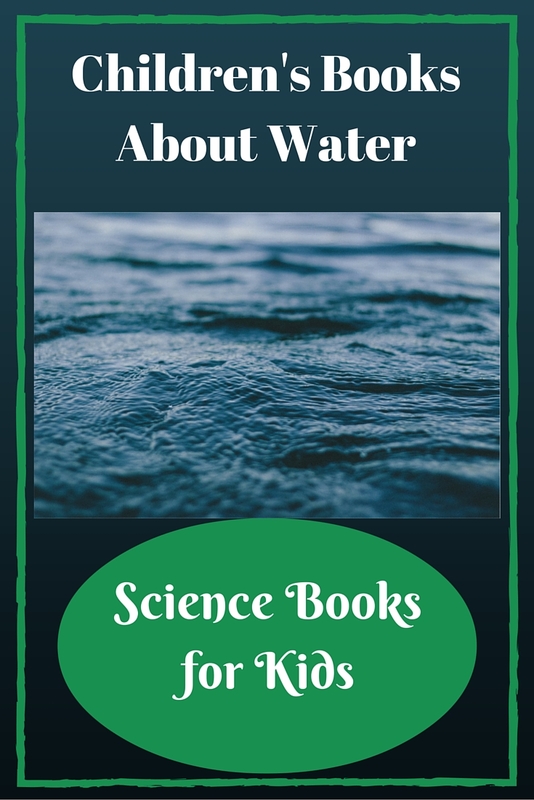 Let’s start a growing list of children’s books about water science and the water cycle. Children often become interested in different aspects of weather as they grow older or as they experience different weather extremes. Disclosure: I am an affiliate for Amazon. If you click through the linked titles or ads and make a purchase, I will receive a small commission at no extra charge to you. Proceeds will be used to maintain this self-hosted blog/website. Amazing, vibrant color photographs of lightning storms accompany simple text in this book for the youngest reader. Also has illustrations to explain how lightning happens. Be sure to check the “Notes for Parents and Teachers” in the back matter for pre-reading and post-reading activity suggestions. This level one reader is packed with information to explain basic weather, such as wind, clouds, thunderstorms, etc. Text accompanied with amazing color photographs. Illustrations engage the reader by showing a young child observing the weather through a window. 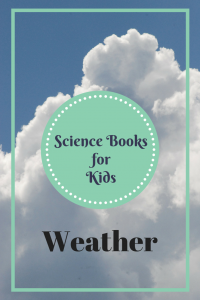 Young readers explore the concept of comparing and contrasting, while at the same time learning about different kinds of clouds and how to describe them. “For Creative Minds” in the back matter has four pages of interactive activities to reinforce learning. 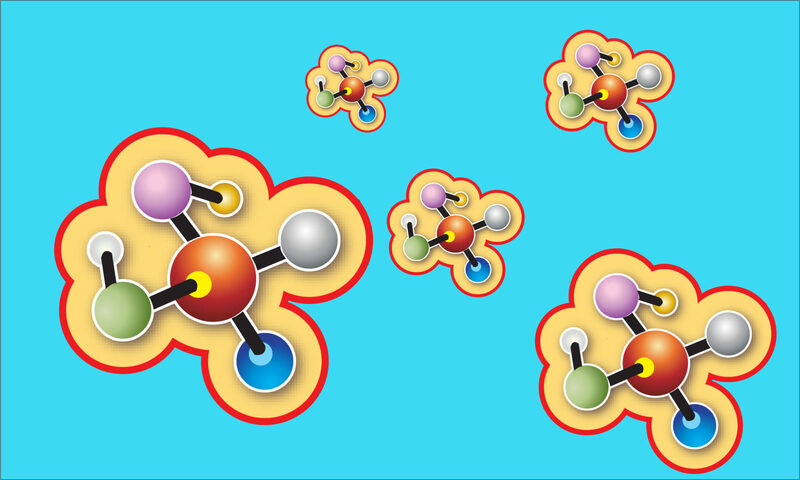 Examples include experiments with evaporation, a cloud match exercise, and information about how clouds are connected to weather prediction. What better way to learn about weather phenomena and vocabulary than through bouncy rhymes with the Cat in the Hat? This unique series encourages children to explore complex concepts in a painless way. The best part is, in spite of the cartoon illustrations, they are well-researched and informative. Covers not only the water cycle and common weather events, but also has information about how to stay safe during severe weather events. Gail Gibbons is a prolific and award-winning author of children’s nonfiction. Riding the line between beginning reader and picture book, this gorgeous title has only a few words or short sentences per two-page spread. The words, however, are beautifully chosen and the photographs tell much more. In the back matter are more detailed explanations of each spread, to help educators field questions or engage readers more fully. Excellent! Leave it to Gail Gibbons to be able to explain big weather is a way that is both clear and highly informative. Learn what happens during thunderstorms and what causes them. Great resource for a unit on weather. How Could We Harness a Hurricane? by Vicki Cobb. With timelines, maps, and numerous photographs and illustrations, Tornado documents the aftermath of actual tornadoes to help readers learn about these extreme weather events. Although published a number of years ago, this interesting field guide is still pertinent. When the king gets bored with regular weather, trouble ensues. Do you have any suggestions for this list? We would love to hear from you! What is more inspiring than gazing at the stars? How about the amazing photographs of nebulae taken by the Hubble telescope? In this list of books, we have flown beyond the planets in our solar system and are now exploring the stars, galaxies and other features of the universe. The titles are organized by genre and reading level. This list is still under construction and we’d love your suggestions! You might also be interested in our list of space and astronomy poetry books for kids, and our list of children’s books about the solar system and planets. Seymour Simon is known for his science books for kids. This text gives an introduction to stars and star cycles. Note: as one reviewer pointed out, the color of a star is related to mass rather than age. The illustrations in Inside Stars are just amazing, as you can tell from the cover image. Author Mordecai-Mark Mac Low is a curator at the American Museum of Natural History in the department of Astrophysics, so you know the information is accurate. Lovely illustrations. Just be aware that although author David A. Aguilar has a good reputation, at least one reviewer found a number of errors in this book. If you are using it as a resource for a report, be sure to double-check your facts with other sources. Just as it says in the subtitle, Beyond the Solar System is an amazing history lesson, capturing mini-biographies of many of the key players in the development of our current understanding of space. The reader learns about the contributions of astronomers such as al-Sufi, Galileo, Kepler, Newton, Einstein, Caroline Herschel, and Annie Jump Cannon. Each piece builds on the previous sections. It also is a thought-provoking overview of the science of astronomy, moving from early observations of constellations to dark energy and dark matter, and beyond. Seeing the discoveries and concepts unfurl against the backdrop of history really helps put them in perspective and makes it easy to understand and remember. Using analogies and straightforward language intermixed with more light, conversational tone, Carolyn DeCristofano does a wonderful job of explaining what a black hole is and what it is not. The author’s note in the back matter about fact-checking should be required reading for everyone, not just children. Imagine you were on a space ship traveling past the moon, out of solar system and through our galaxy to 55,000 light years away, while taking photographs of things you would see on the way. This is the unique premise of this book that delves not only deeply into space, but also into a deep explanation of many space phenomena. Be prepared to learn vocabulary like pulsars, nebulae, supernovas and supermassive black holes, etc.